Everyone is probably wondering why Apple paid $3 billion for Beats Music and Beats Electronics, right? Well, now you can hear the reasons directly from Apple CEO Tim Cook on why the company made the decision, in an interview with Re/code. Peter Kafka: This is such an unusual deal for Apple. Why did you make it? Tim Cook: This is all about music, and we’ve always viewed that music was key to society and culture. Music’s always been at the heart of Apple. It’s deep in our DNA. We’ve sold Macs to musicians since the beginning of Macs. And we accelerated the music industry with the digital music revolution with the iPod and the iTunes music store. So we’ve always loved music, and believed in the power of it, and believed that it could transcend language, culture and bring people together and produce emotions and deep feelings that other things can’t. And we’ve stood at the intersection of technology and the liberal arts. So I see this right in the – if you were drawing a line, this would be the logical next data point. What Beats brings to Apple are guys with very rare skills. People like this aren’t born every day. They’re very rare. They really get music deeply. So we get infusion in Apple of some great talent. 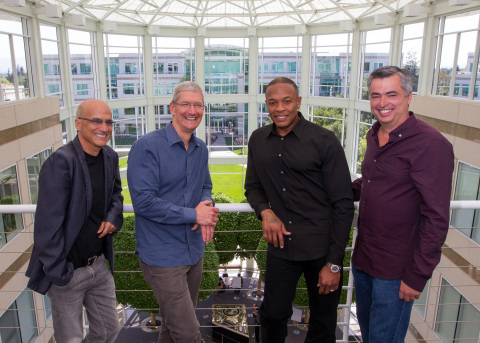 As for Dre and Iovine, they will be “100 percent” Apple employees. 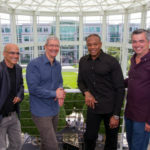 Iovine said he doesn’t have a day job anymore so he will be flying to Cupertino to work at Apple “on a regular basis”.